Each and every donation makes a significant impact on the lives of these Haitian children. One hundred percent of your donation goes to direct program services. Therefore you can be sure that your donation is maximized and every dollar makes an impact. From an educational sponsorship to our soccer program you are able to transform the life of these children. or Use one of the DONATE buttons below. If you do not have a specific program in mind, we will select a specific program or child need, which is a priority need at that time. Donors will be notified of our program selection. For example, the donation may be designated for school lunches, feeding children on Saturdays, and healthcare needs such as clinic visits, medicine, laboratories, X-rays and surgeries. If you are interested in being a sustaining supporter, please consider monthly, quarterly, or annual payments. We can invoice you or you can create a payment schedule via PayPal. The greatest investment is a child's education. Education is power, providing knowledge will empower them to believe in themselves. As an Educational Sponsor, you will have the opportunity to establish a personal relationship with the child as you will receive quarterly report cards and thank you letters from the child detailing his/her progress. Sponsors will also receive frequent educational and personal updates, along with pictures of the child throughout the school year. Give a child a future by transforming their life through education! Yearly Educational Sponsorship amounts are based upon the child's grade level. Please see our "Kids Who Need Sponsors" page and contact us for the costs for a specific child. Yet any donation amount would greatly be appreciated! If you'd like to donate monthly, please donate above under "General Donation." A donation for school lunches is $25.00 monthly for 10 months. Goat Farming creates a sustainable food source. Buy a goat, feed a family! As a goat donor, you will receive pictures when baby goats are born and yearly updates on the progress of their herd. A goat donation is $85.00. This cost covers the purchase of the goat along with the vaccines and medicines the goat will need for one year. Help us provide a vital service, which has dramatically changed their lives - Healthcare! Children in GBTN are provided 24/7 medical care. With your donations, we are able to continue to provide yearly physicals, dental care, clinic visits, medicines, home visits, laboratory tests, x-rays, surgeries, and hospitalizations. Through soccer, there is joy! Soccer provides an social infrastructure, providing a purpose and a sense of community for these children. They are learning, team work, leadership, discipline, dedication, and citizenship. They love playing and learning. Through our soccer program, we are feeding the children every Saturday at the field, which may be their only meal that day. Please donate any amount to support this vital infrastructure, allowing us to deliver all of our other programs. Building a future means building moral character! 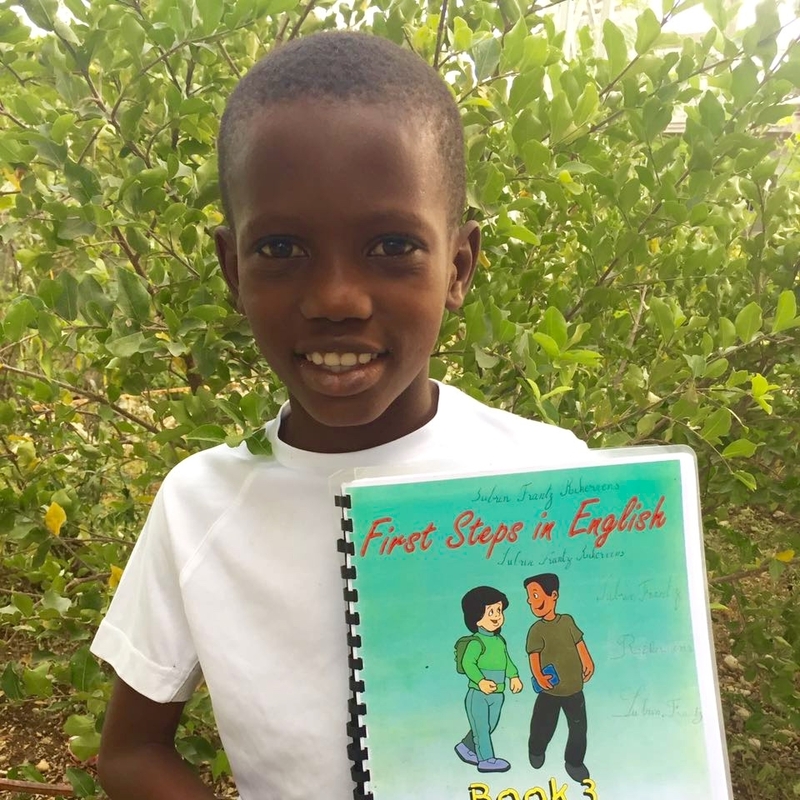 GBTN is educating the children about how to be a good citizen and a leader through having strong moral character. Our weekly classes have made a tremendous impact on the children's social skills and behavior. Being fluent in English is essential to the GBTN children's future. Opportunities for advanced education and future employment rely on mastering the English language. Through weekly English classes and "Words at the Field", English fluency is growing and thriving! Many of our children not only speak English, but are translating for us! English Class is $20 per month. Select the button below to annually sponsor a child in an English Class.